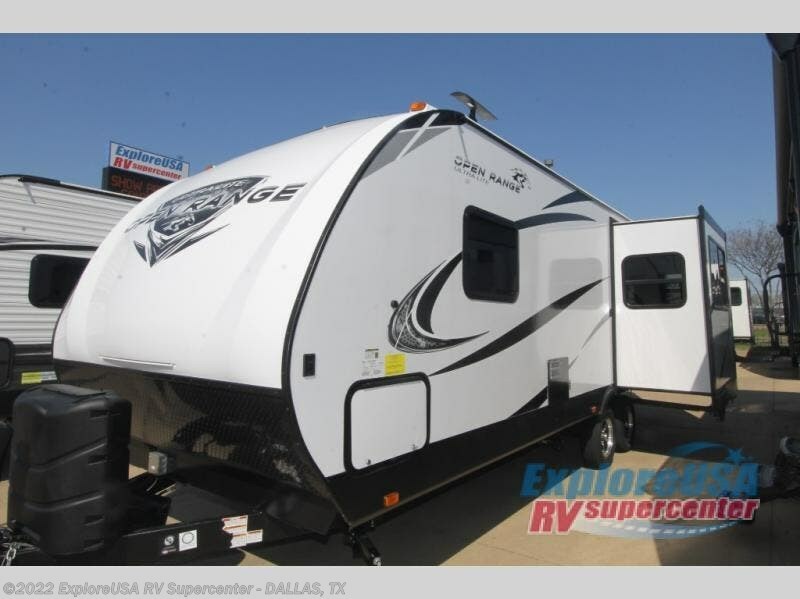 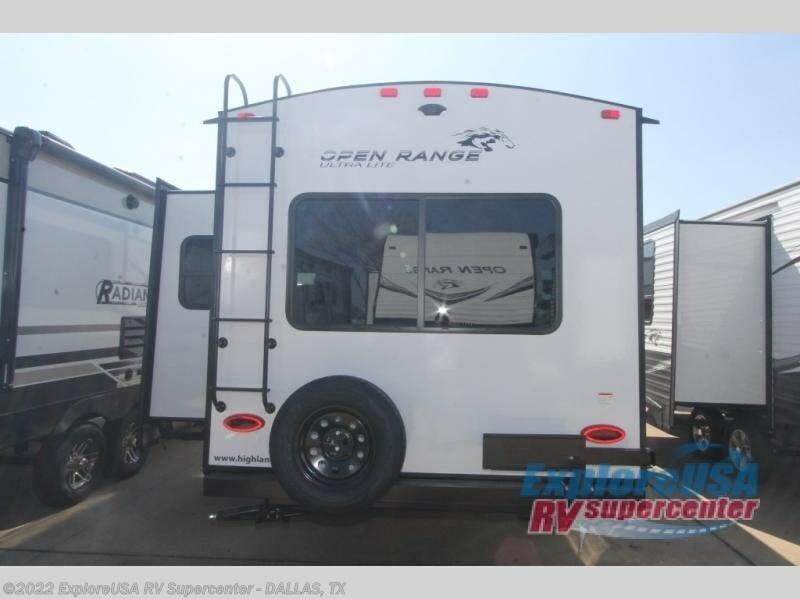 When you are ready to make memories, hitch up this Open Range Ultra Lite travel trailer and head out to new places. 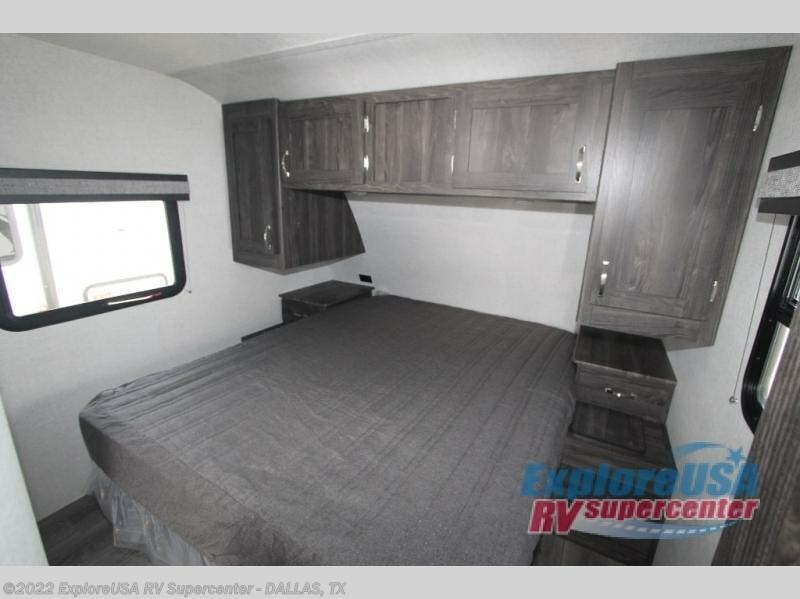 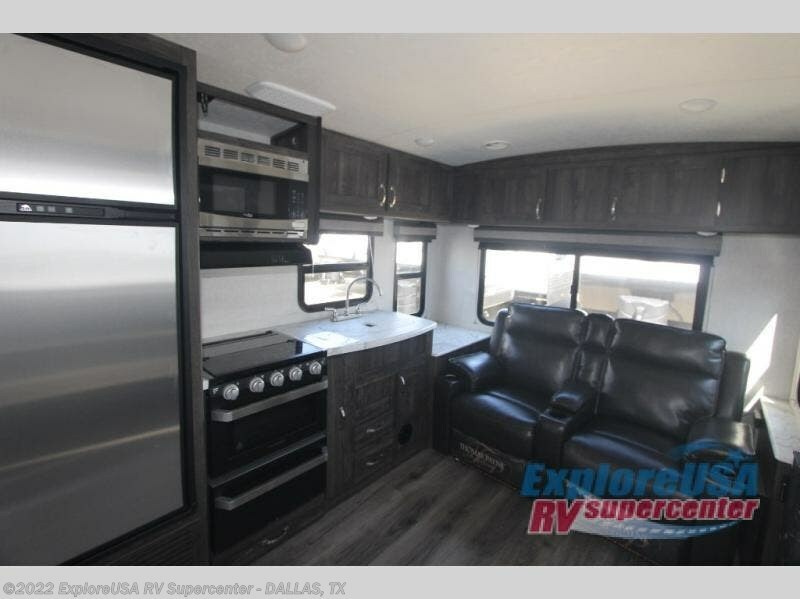 This model is easy to tow and setup, and after a fun day outdoors, you can retire inside to an air conditioned living area with comfortable furniture and a 39" LED TV. 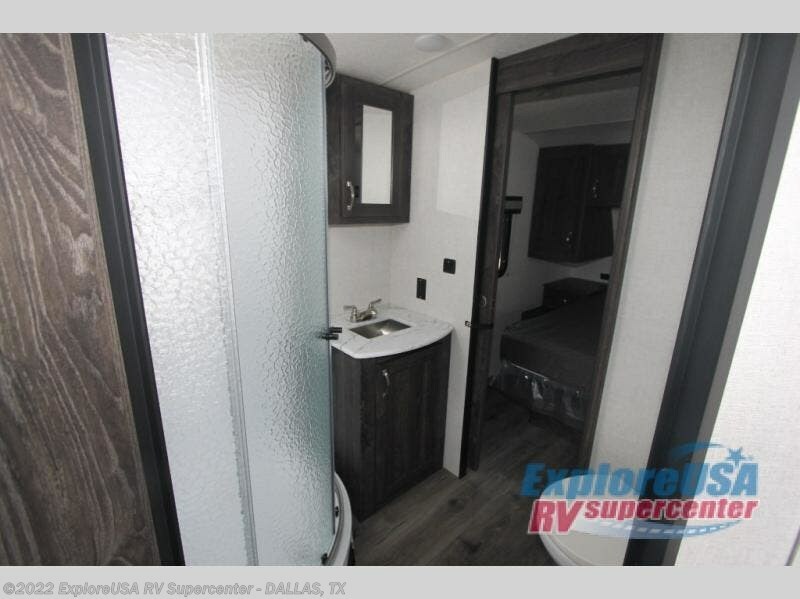 The convenient dual-entry bath allows you quick access during the night and easy access across from the main entry. 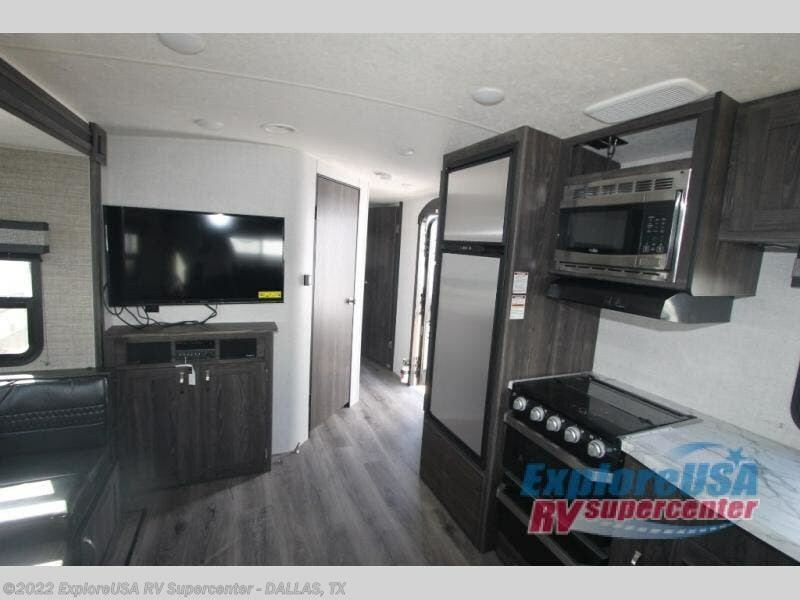 You will also find full kitchen amenities including stainless steel appliances and a microwave. 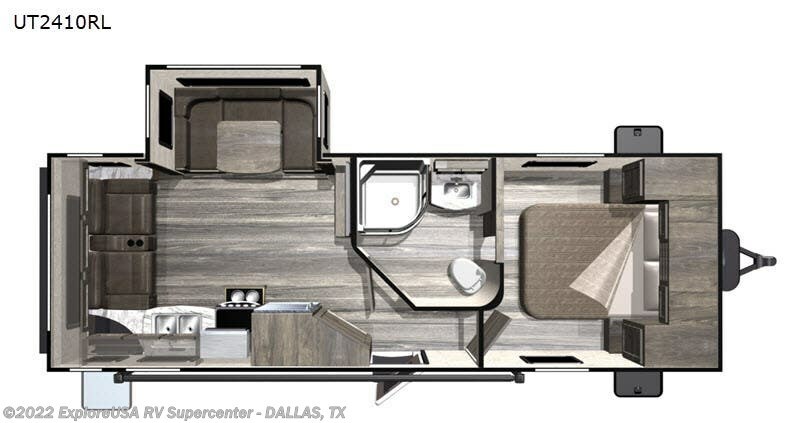 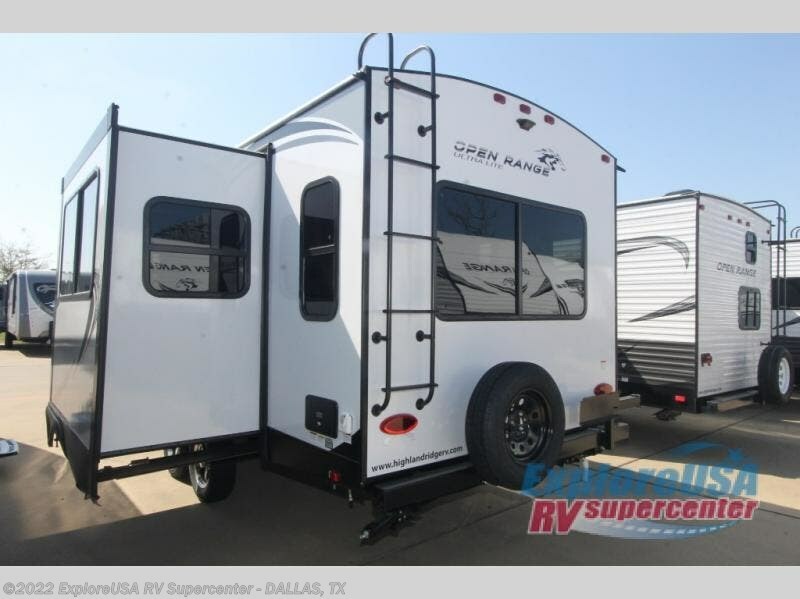 With any Highland Ridge Open Range Ultra Lite model you will appreciate the ease of towing and the spacious living areas, and both you and your pets will be happy to spend a weekend inside of the Open Range Ultra Lite because of its pet-friendly features, like the pull-out pet dishes. 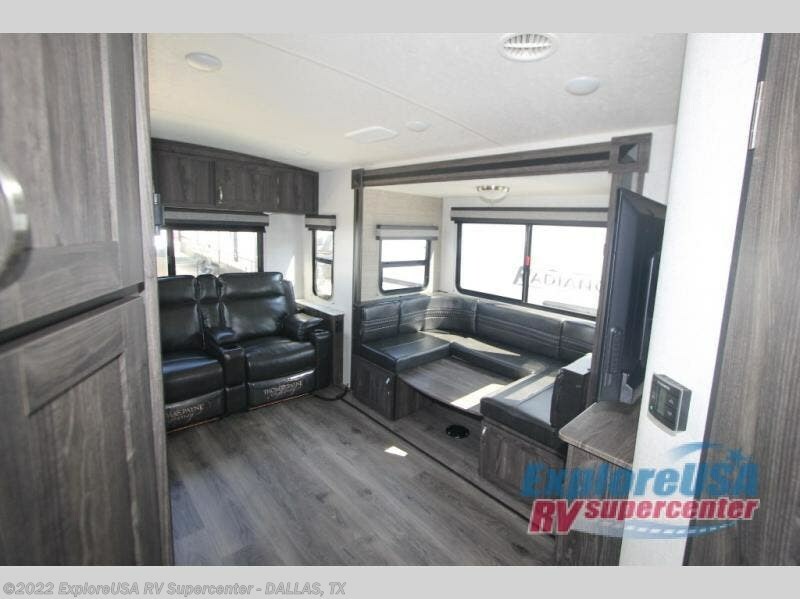 Inside you will enjoy a full palette of style with the arched, vaulted ceiling above and the linoleum flooring below, and the seamless countertops throughout will give an added boost to the interior decor. 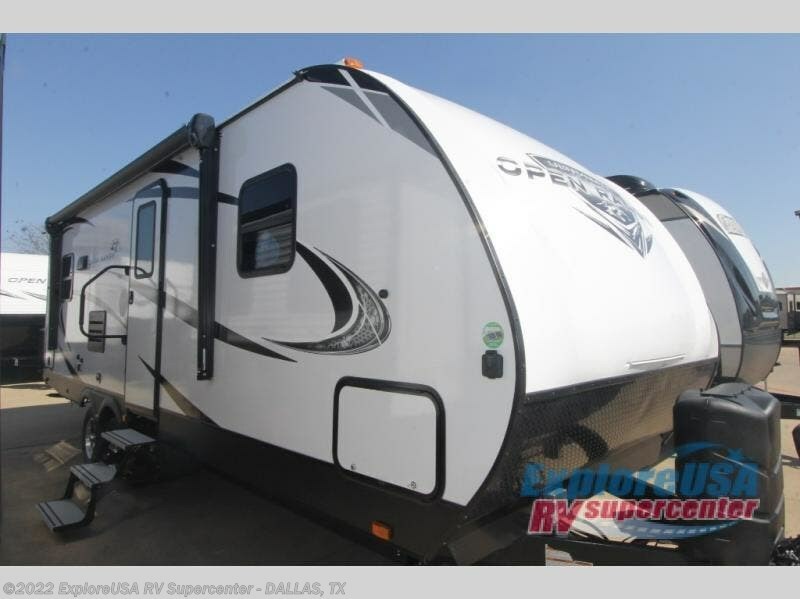 It's time to enjoy nature in comfort, so choose your favorite model today! 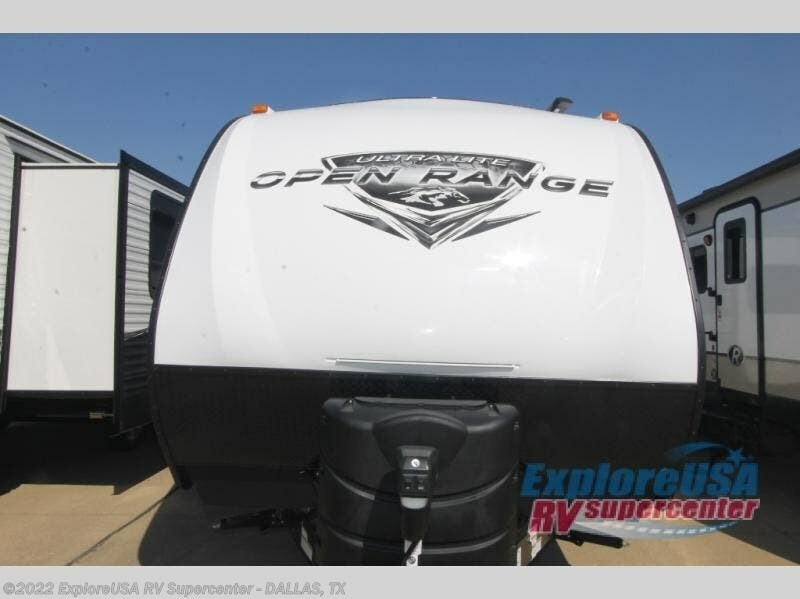 Check out Stock # M2971 - 2019 Highland Ridge Open Range Ultra Lite UT2410RL on highlandridgesource.com!